Working metal hand bell in silver mat color with spinning handle centerpiece. On one side of the handle is horizontal "POLSKA" lettering, while the other side features the Polish White Eagle—both in gold colored relief. 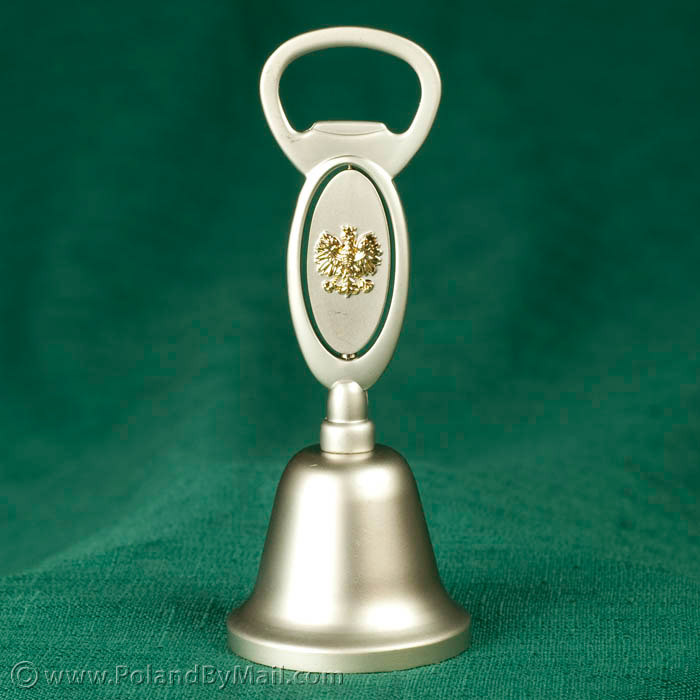 The handle of the bell is also designed to be used as a Bottle Opener.